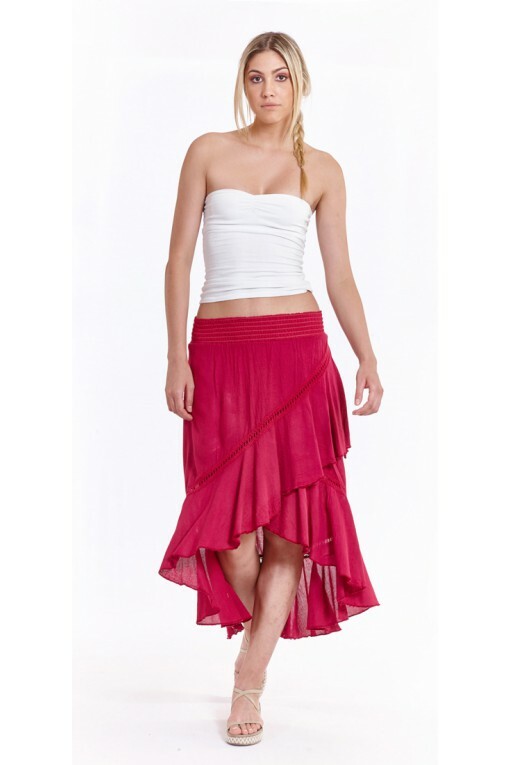 Assymetric maxi skirt with elastic waistband and lace detail alondside. Available in many colors. Greek product.